Yesterday, as I published Linux 4.15 changelog for Arm and MIPS, I discovered a new Rockchip RK3288 platform described as “Amarula Vyasa single board computer”, so that got me interested. The full name of the company is “Amarula Electronics Limited Sony UK”, which means Vyasa is the name of the board. Amarula Vyasa relies on a 2.5″ Pico-ITX form factor, and is available in either commercial and wide temperature (WiTAS) range. 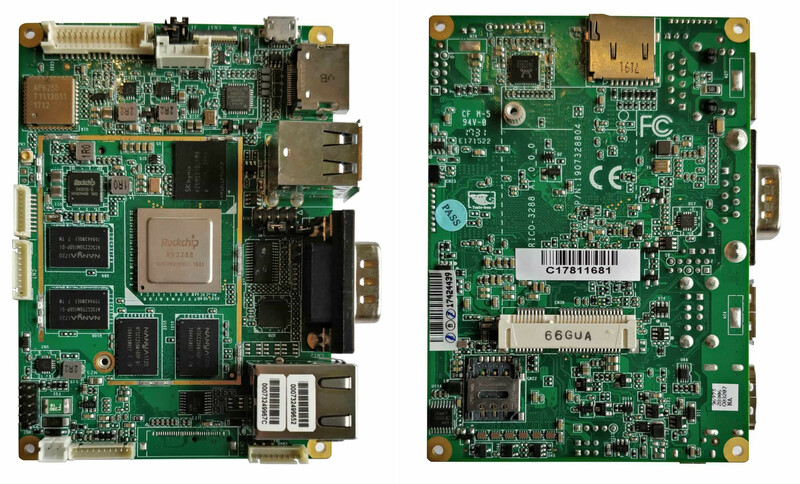 The board is equipped with 2GB RAM, 16GB eMMC flash, exposes ports and connectors such as HDMI 2.0, eDP, and LVDS, and plenty of network connectivity (WiFi, Ethernet, mPCIe modem…) that would make it suitable for a connected digital signage, or other applications requiring a (touchscreen) display and redundant Internet / network connectivity. There’s also mention of support for extended CAN BUS, extended PoE function and 2 extra RS232/433/485 ports. The company provide documentation, an Android BSP, and explain how to use mainline Linux BSP (see progress status here) in order to generate a bootable Ubuntu 16.04 image in their Opendev website. Interestingly, yhe latter also includes instructions for boards not made by the company including Tinkerboard, some Allwinner boards (Orange Pi PC, NanoPi M1, etc..) , as well as i.MX6 systems-on-module made by Denx. Amarula Vyasa pico-ITX board can be purchased for $150 for the commercial temperature version directly on the company website.